After the long inital run of Godzilla movies ground to a halt in 1975 while aiming increasingly for the kiddie market, a more adult, action-based breed Godzilla was tried for the comeback in 1984. This cycle lasted until the character was practically killed off in 1995 to make way for America's flawed remake in 1998. 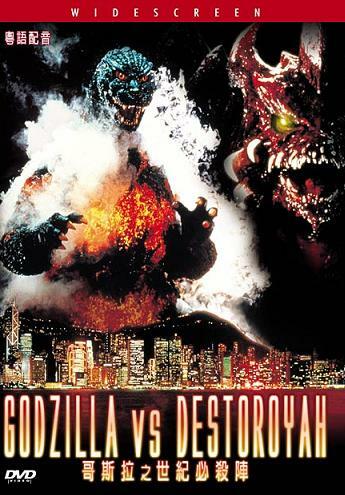 The 1984-1995 Godzillas were very difficult to see, emerging as a mish-mash of english-dubbed VHS, VideoCDs and laserdiscs. Universe Video in Hong Kong are making available these pre-DVD era movies with six new DVDs. These are the first home video releases with the original Japanese audio, as well as english subtitles. They are all presented in the original widescreen. These next four films are also available on Sony Pictures/Columbia Tristar region 1 DVDs, in two double-bills with English audio only. Some viewers may prefer this, but I'll warn you that the Godzilla vs King Ghidorah and Godzilla vs Mothra have been brutally cropped from 1.85 to a very tight 1.33 pan and scan fullscreen. 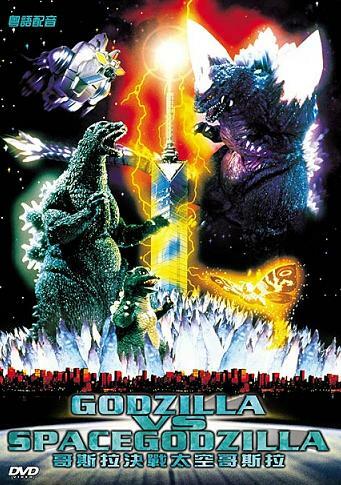 While the Godzilla vs Space Godzilla and Godzilla vs Destoroyah set is widescreen anamorphic. is presented letterboxed widescreen (not anamorphic). 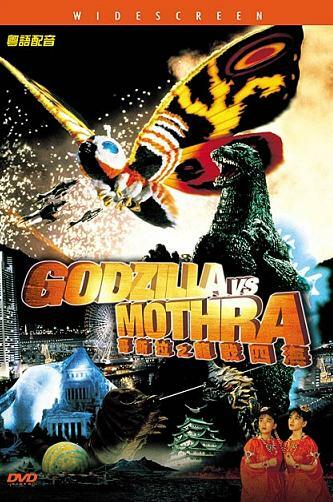 Remember that this isn't a great film to introduce your friends to Godzilla. 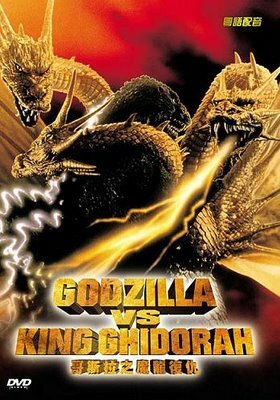 King Ghidorah is a great monster and the fight scenes around Shinjuku are spectacular, but the human plot is a nutty, low-rent Terminator 2 riff, with ginger megalomaniacs in a UFO from the future playing around with Godzilla's origins by using time travel and teleportation! There's a cyborg trying to do Terminator stunts but using Bionic Man special effects, and some stupid-looking Dorats (imagine Care Bears crossbred with rattle snakes). This is offset by good footage of real tanks and real fighter jets (rather than the usual models). The cityscape modelwork and explosions are all exciting enough, it's the optical animation effects (light rays and time travel effects) that look dated. is also letterboxed (not anamorphic). The return of the son of Godzilla. The Japanese cut slightly differs from the American release. 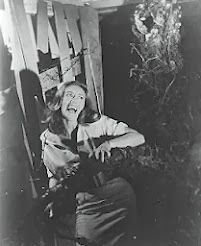 Several scenes are moved around, especially at the beginning. 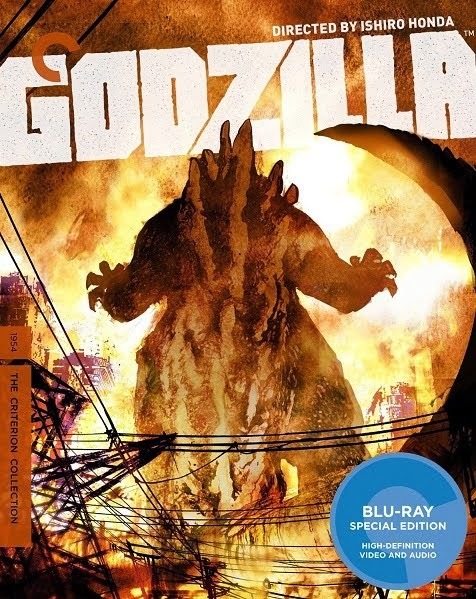 Also, the US version left off the end montage sequence (under the Japanese end credits) which was a wonderful round up of classic Godzilla moments. These Hong Kong releases are also a way of getting a copy of the original Japanese prints, with original title sequences intact. These new Universe releases all have Japanese stereo audio, even when the box art says mono. The English subtitles are well-translated, but annoyingly share the screen with traditional Chinese subtitles. But this isn't as obtrusive as it sounds and I didn't find it distracting. The picture quality looks a little soft in places and could certainly be improved in the future - I don't think these are digitally remastered versions. But for the exceedingly reasonably prices, this is a good way to enjoy these rare titles. If you register with HK Flix, you can scrutizize the cover art and back cover scans online. It's the site where I bought all these discs. I've done a Massive Update on my Godzilla Checklist. You can always check back to my Godzilla DVD checklist, whilst pursuing your own perfect Godzilla movie collection this side of Japan! While it's an older entry on this blog, I keep it updated without changing the address, so that you can keep it bookmarked in your favourites. Looking through the list again, it reminds me that many releases still aren't anamorphic widescreen, or on DVD at all! Only in Japan are all the films owned by one studio, Toho. Everywhere else, the series will continue to get released piecemeal, and will never be consistently presented. 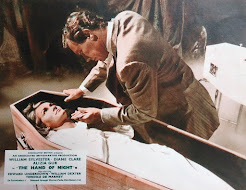 Next update, I'll try and add small scans of DVD artwork of the releases worth chasing. The George Lucas EWOK Trilogy – why?